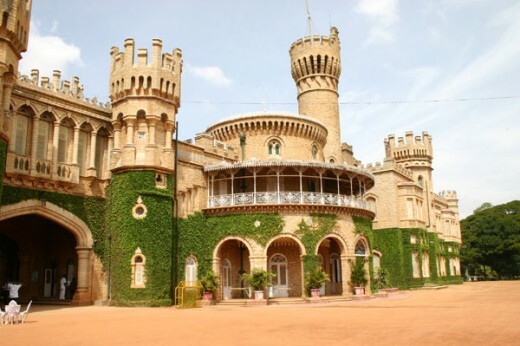 Palace of Mysore royal dynasty, in Bangaloe. Built on Bukingham palace lines. Entry to inside is not open to all at present. Bangalore,(Bengalooru-in original Kannada language)Is a fast growing cosmopoliton city in south India. 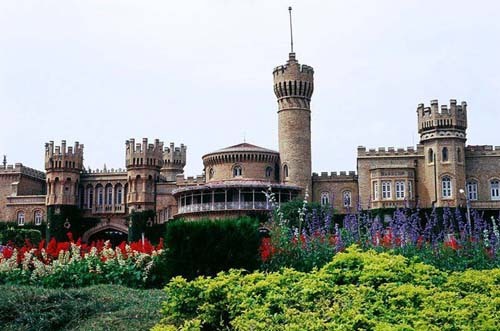 It was founded almost 450 years ago by a local knight named Kempegowda.He is still remembered here in various forms.This city has many places of tourist attraction.Travel packages are available to Bangalore. Branches of all important banks of india and the world are functioning here.Kannada is the language of the state. Bangalore is at an air distance of 720 K.ms from New-Delhi and could be reached from there by plane,in just 140 minutes. The airport road is fine and ready taxis and city buses are available from there.By train, it is about 2000 K.ms from New-Delhi, and takes about 40 hours to reach. 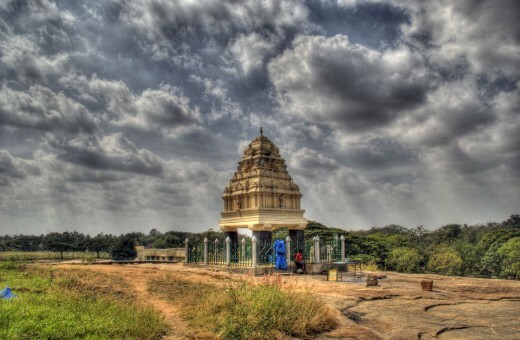 Visitors can reach here directly from foreign countries as there is international air port at one-hour road distance from Bangalore main Bus terminus.This city is now famous as electronic city of India. Built around 1956, this grand granite stone building houses the legislature and Secretariat of Karnataka state. it is at one corner of Cubbon Park garden.This building os perhaps most majestic Legislature building in the country. 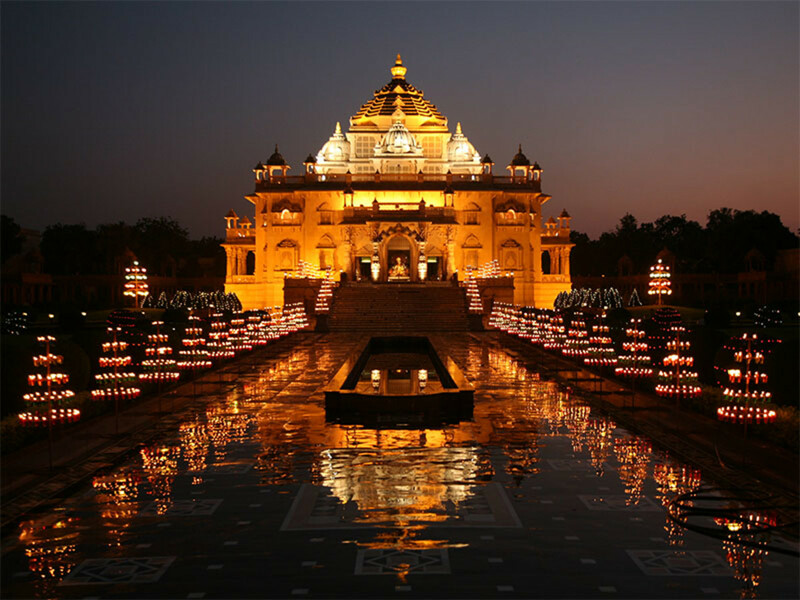 It has a blend of Indo-European architectural styles. This is a quadrangular, four-storied building. Opposite to this is -High Court building. This a building built on British style, and during British rule. Formerly it was the Secretariat building, (In pre-independence days) and after that, till the completion of Vidhana soudha, it housed The state legislature. 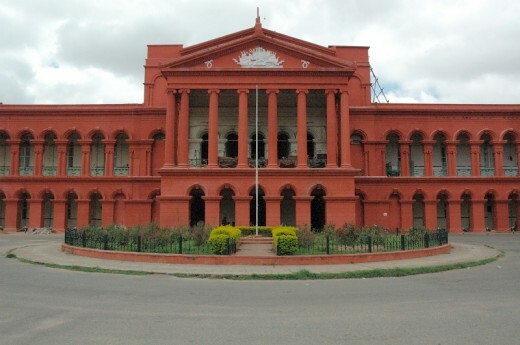 Now it houses the state High court.This is also a part of Cubbon park. This is a two-storied building. 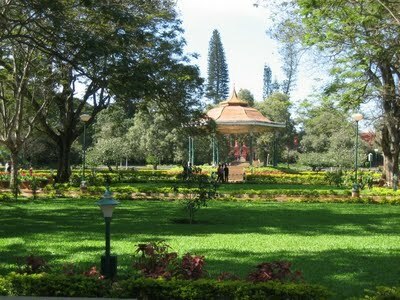 This is one of the two main Parks in bangalore. 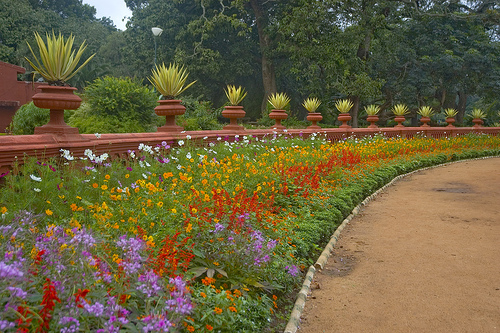 Is is named after Lord Cubbon, one of the viceroys in India during british rule.The park is beautiful,neat, ant in the centere od the city.Visitors can freely roam here. At another end of this park are Two museums, worthy to be seen.One is Government museum and another is Technological museum. Very good hotels are found in bangalore.Two of them are:taj bangalore, and hotel bangalore international. Hotel Leela palace, East and west,Windsor manner hotel, etc, are also there. 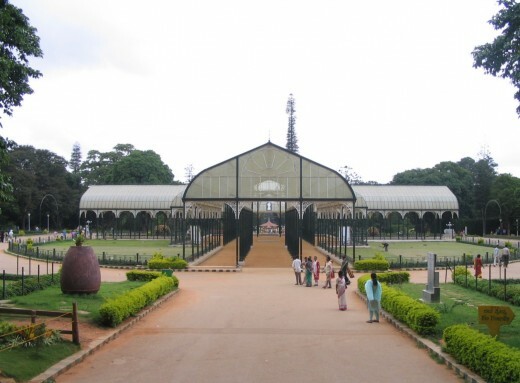 Glass-house, in Lal-bagh garden, where some conventions, and annual flower showare conducted.This is 150 years old. 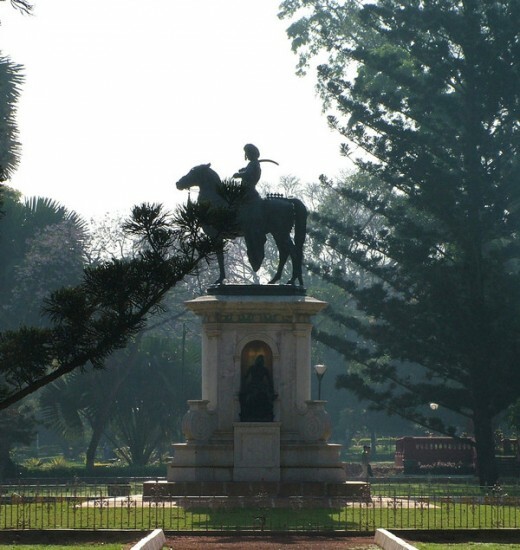 Statue of a mysore ruler, present in Lal bagh. KEmpe Gowda tower-present at one end of LAL BAGH. The founder built four such small towers to indicate the limit upto which athe city should grow. But Bangalore has long back crosed that limit. It means, Red Garden.But it is full of green. 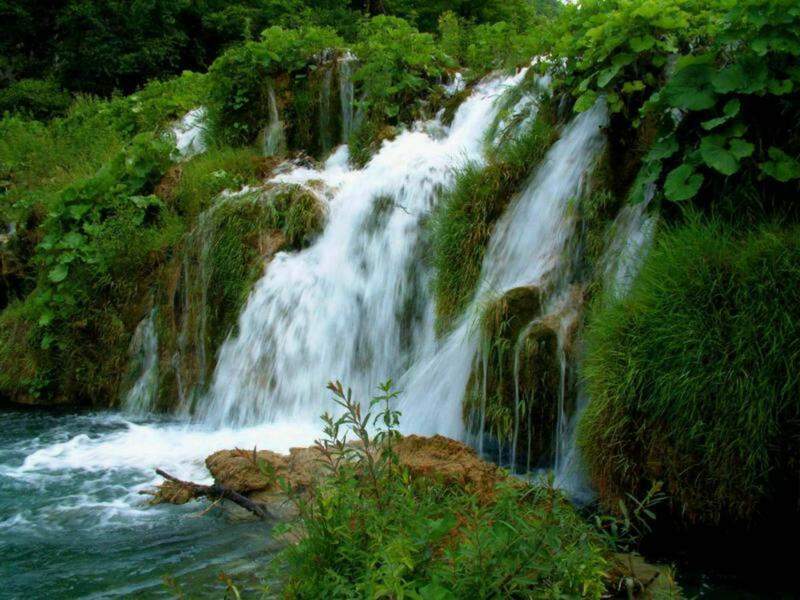 Spread over the wide area of about 200 acres, it has a beautiful lake on one side. 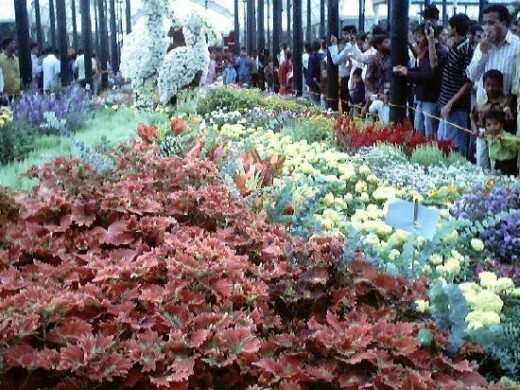 It is a botanical garden.Developed over 16years, since the period of Hyder-Ali.It is under the supervision of Horticulture department of the state. It has fine walking avenues, certain statues,a nd a glass- house. 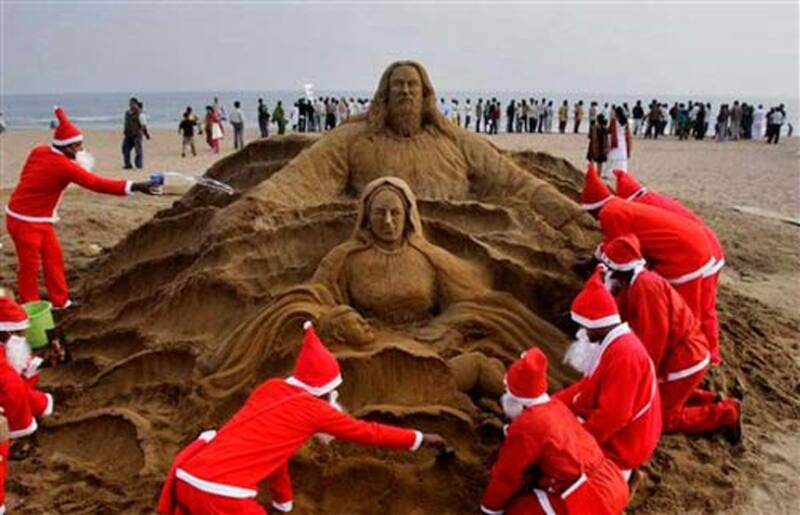 Apart from these, bangalore has many other worthy spots like-Bull temple, University campuses art galleries, to be seen. Many i t companies are located here.They find solutions to lot of software problems face by users all over the world. Bangalore is a posh city now.It has many clubs and hotels to cater the needs of visitors of every kind. This city is is well connected from every part of the country, by air, road, and rail. Mysore is just 160 K.ms away from this city. Bangalore has a population of 80 lakhs. Yes,I agree. Hotel Leela palace is one of the best hotels not only in Bangalore, and also in South India.it has a heritage look inside, with all modern fecilities and superb service. 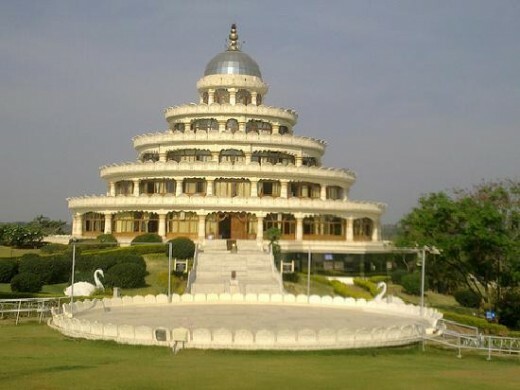 Those who can offeod,Can make this as their happy home during their stay in Bangalore. Amazing post. The India which dares to take on the world with its world class technology, its great tradition ’ enriched over the centuries and its obsessive desire to be hospitable to travelers from all over the world. The Leela Palace Bangalore is one of the best among the hotels in Bangalore. I wish Silkveil's dream come true. Bangalore is not the hottest spot.Its highest temperature is usually 35-36degree celcius during March-April .That too not on all days.There are many other places in India like -Mangalore,Delhi, Jaipur,Jaisalmer Gulbarga etc, which are hotter. Bangalore is such a hottest tourist spot of India. 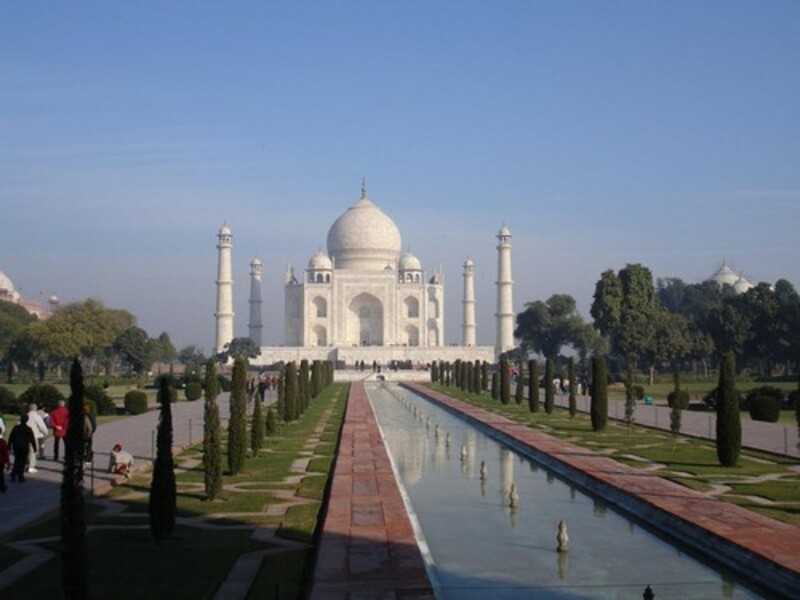 It’s worth for every tourist to explore this great city of India. Which is a house of Many MNC’s and IT parks. It looks gorgeous. I hope to visit. 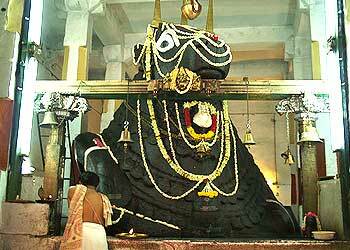 Mr.Rathnaveera,Mahalakshmipuram is the area which i know well.You must have seen ISKON temple then. i had to mention about it here also. 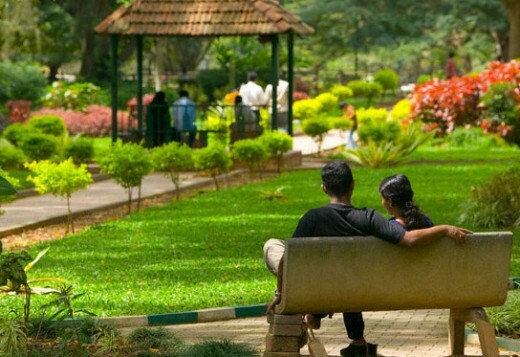 Dear Sir, I always love this Garden City Bangalore. You are really lucky to live nearby this wonderful place. Last time I visited my friend's house at Mahalaxmi layout. All the posted pictures are very beautiful. Lalbag is really mesmerizing place! This looks like a very nice place, tanks to your fine photographs. Thanks for the interesting information about it.